Tonight I am visiting Frontenac and was reminded of a great topic for this blog. A place I enjoyed visiting a lot when I was younger is this quarry in Frontenac (I actually have no idea if it actually was a quarry but am quite curious). There are many interesting things to find here, the best (in my opinion) being the bridge. 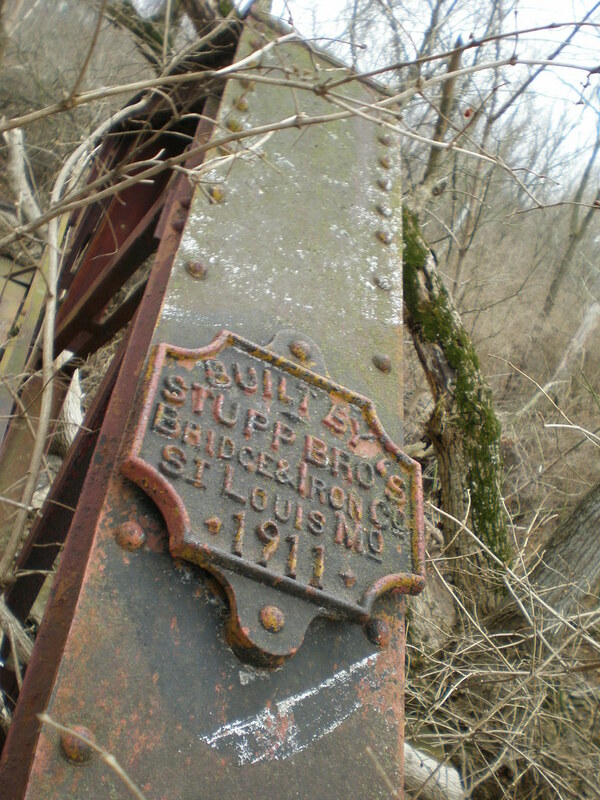 I have found other Stupp Bro’s bridges and will possibly post more photos in the future. I have a set of photos on flickr from the quarry, but in looking back at them, I need to go back for more! You can find the old Stupp fabrication works on Weber Rd., right off of I55. If you think those buildings are big on the outside, you should try to finagle a look inside. CAVERNOUS! One of them is now occupied by a company which refurbishes steam turbines and generator armatures. Sounds very interesting. I will add it to my list of places to go! Thanks for the tip! What makes you think it was a quarry? It doesn’t look like a quarry. Honestly I’m not really sure, everyone just called it “the quarry.” Not sure why else there would be the train bridge there though. There is also a rock wall along the southern edge of this site which lends credibility to the quarry theory.